I am a bit of a fan of the pretty biscuit or sweet treat. No matter that they may be a little less wholesome than the other bumpy, brown-er things. I like them anyway. In fact, I like them especially because of their non-wholesomeness. I think cakes and biscuits and the like can be a metaphor for life. We KNOW that the good and simple ones are often the virtuous choice, but sometimes we need to opt for something less sensible and more fun. You really can’t be good all of the time because it’s boring and also nobody but you notices that you’re almost hitting perfect person goals. Much better to go off the rails in sprinkly or colourful or sugary style now and again. It keeps you in touch with your inner-troublemaker. 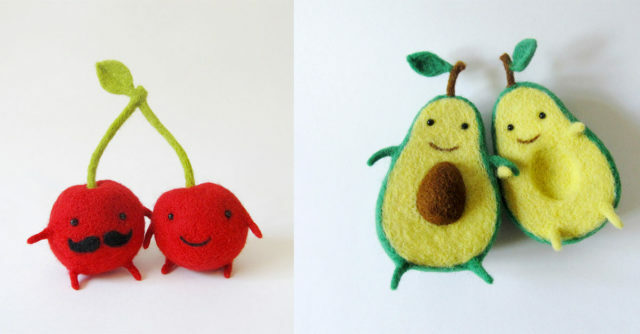 These delicious and probably trouble-making felt treats are by the clever Wombat’s Picnic on Made It. Buy some for yourself or your favourite ratbag, to remind you that good is not always best. 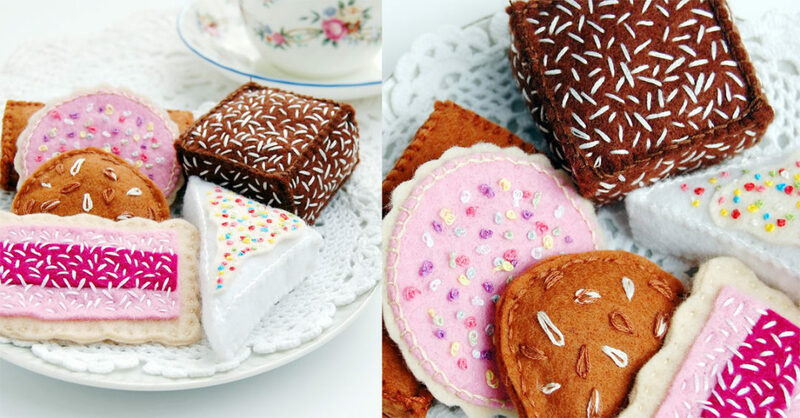 PS: Thanks to Corinne for pinning these cute treats, because that is how I found out about them!